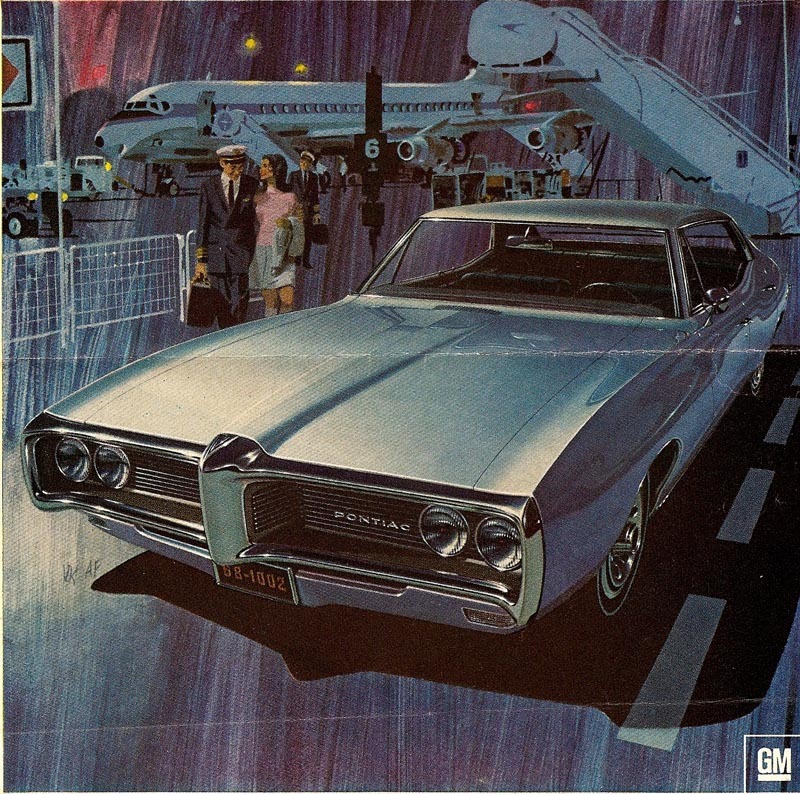 I know TI has already blogged them... but really, these ads are the ultimate, the epitome, the most skilled automobile art that has ever been published. Pure, 'sock it to 'em' advertising. Great renderings of foreground, background, and bold, classy interpretations of the cars. Obviously I can't say enough... and they are certainly worthy of another TI. Hopefully you have a few more that I don't have. * Want some more weekend reading? This week's "NCS Spotlight" features my posts on the legendary Albert Dorne. 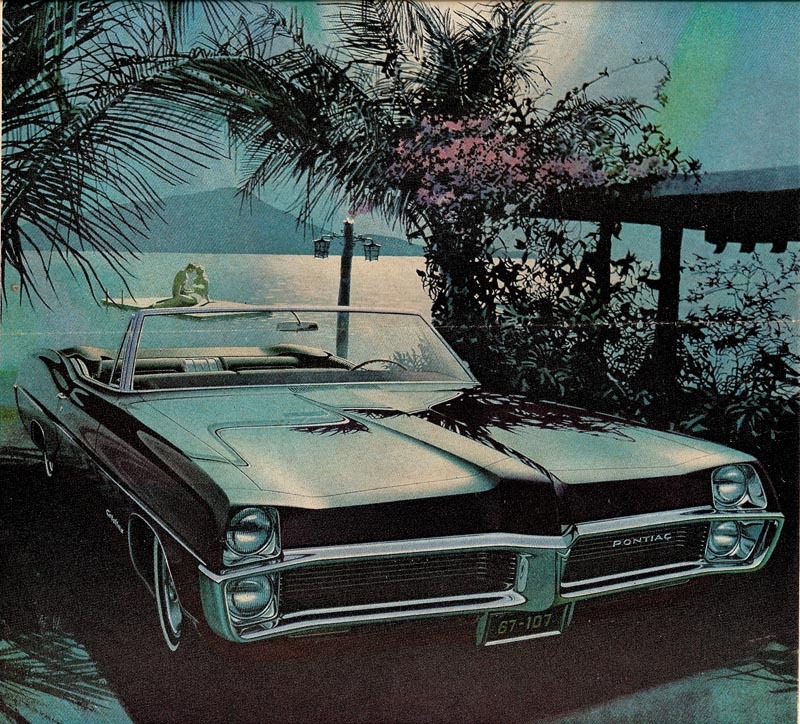 I would love to know the value placed today on an original AF/VK Pontiac ad. Even a rough estimate. Anyone? 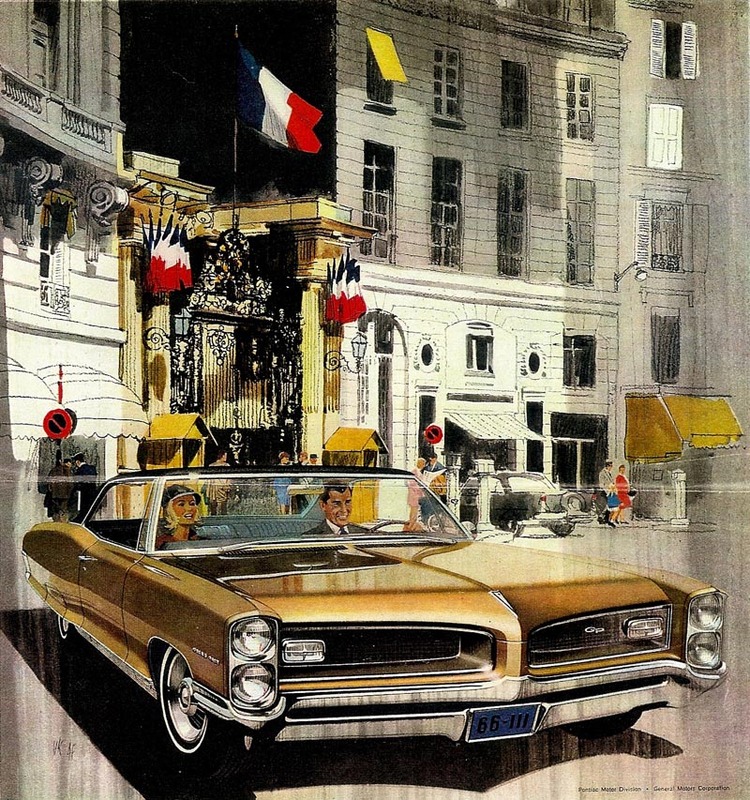 Let's bring back illustration to sell cars. Flipping thru a magazine I want to buy none of the cars advertised. The photos are so Photoshopped that they might as well be illustrations, except that the retouching makes the cars look dull and antiseptic. 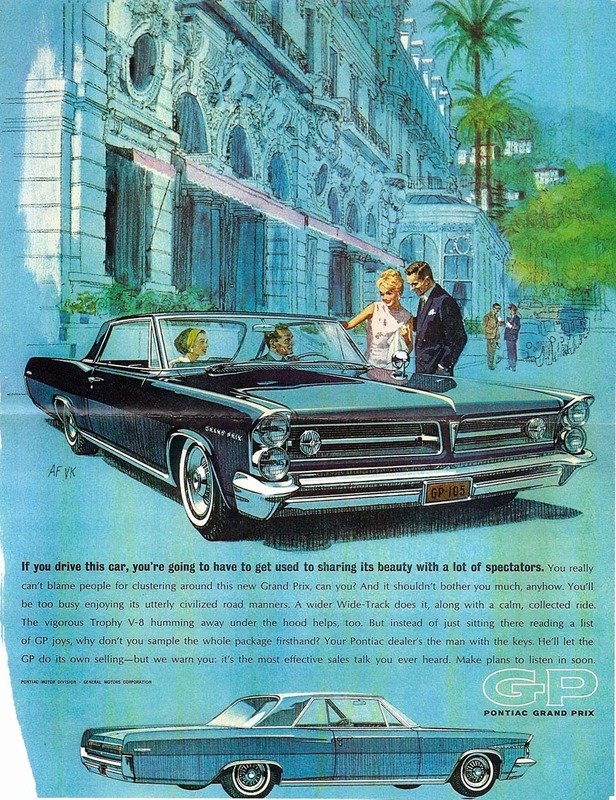 I like the way these old ads lie to me much more than the way new ads lie to me. His composition and observation and color and texture are superb beyond words.